Starfish are among the most common and intriguing marine organisms. Despite their simple structure, starfish possess unique regenerative properties allowing them to regrow entire limbs following predators’ attacks. 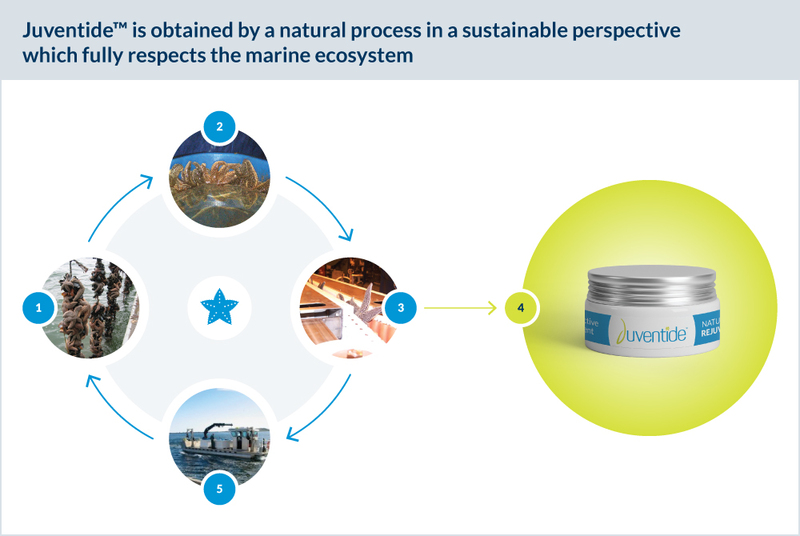 After years of R&D, the scientific team of innoVactiv successfully developed a harmless harvesting process, allowing collection of starfish coelomic fluid without affecting its viability. Our unique «ECOcoelomic Fluid Collecting Process» is a circular economy process performed in collaboration with Prince Edward Island (PEI) mussel growers. This beautiful island is bathed by the cold waters of the Atlantic, hosting vast starfish populations. Starfish play a complex role in the marine environment, mainly by regulating the population of mollusks and crustaceans. But they are also an effective predator of mussels that need to be controlled around mussel growing sites. In collaboration with mussel growers, innoVactiv developed a sustainable collection of starfish that helps control starfish population around their installations while not harming the starfish population. Each starfish that is captured is maintained alive and returned to its natural habitat after coelomic fluid collection. This practice allows starfish to completely recover and resume their normal life. Routine quality control and quality assurance protocols are used in the selection of starfish, coelomic fluid collection and handling process to ensure that starfish population remains stable around harvesting sites. Reintroduction of all starfish to their natural marine environment.